We know you’re always on the go. 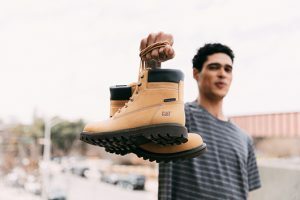 Whether you’re an Earthmover who commutes through the city, or hikes it out of there come 5 PM, we know you need gear that will hold up for the entire year, not just a day. About this time of year, we can bet your head goes to spring cleaning, warmer weather, and yes, planning more trips to stretch your legs and explore the world after the long winter season. For those of you who agree, we’re here to fill you in on our top recommendations for travel near and far. 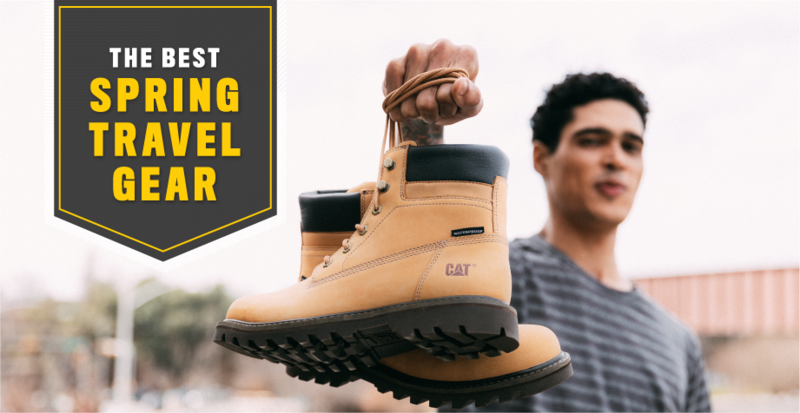 Cat Footwear can give you durable style, but you don’t always want a boot that feels ready to drag through the dirt. You’ve got planes to catch, adventures to be had, and travel through multiple time zones from dinner with new friends to sight-seeing and hiking. Here’s our favorite travel gear that’s ready to make the trek with you- wherever that may be. The Deplete Waterproof boot has the durability you can expect from us, but it also just looks good. You can wear this from the airport to exploring the city in the elements with this waterproof boot featuring sealed seams to keep your feet dry from any spring showers that might come your way. We also packed it with our Ease Comfort Technology to make sure your feet will never hurt, no matter how many laps around the city you do. 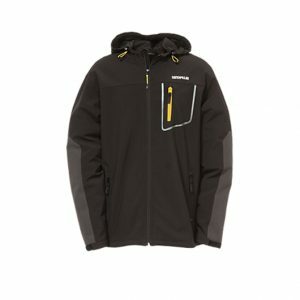 We also reccomend a great jacket, like our Capstone Hooded Soft Shell Jacket, which gives you wind and rain protection with fleece comfort. 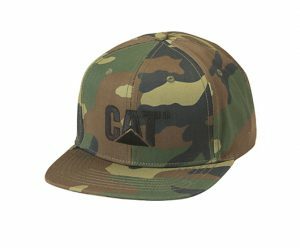 Add in the Sheridan Flat Bill Cap, and you can keep your head covered from sun or the occasional bad hair day and still look like a local.